Fashionotes - Influencer and YouTube star Ingrid Nilsen collabs with Bareminerals for a new range of beauty products! It’s being touted as the “biggest beauty deal”, BareMinerals has selected influencer Ingrid Nilsen for their new beauty line and we think it’s a pretty sweet deal! 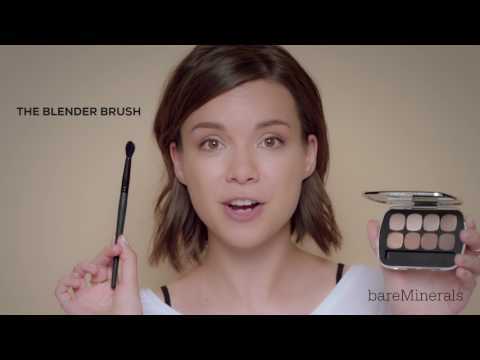 An awaited collaboration, BareMineral has teamed up with top YouTube Beauty and Lifestyle guru, Ingrid Nilsen for a major social media campaign. Ingrid is not only an established internet personality but she’s also added podcast host to her resumé. Catch her chatty segments via her podcast called Ladies Who Lunch with Cat Valdes. A vocal fan and loyal user of the line, this partnership has been a year in the making, and it’s finally here! This is not Ingrid’s first beauty collaboration. She previously teamed up with SKII, Unilever’s hair-care products under the Dove and TRESemmé brands, and in 2014, became a Cover Girl ambassador. The BareMinerals partnership is Ingrid’s largest collaboration to date. In a world where most influencers collaborate with “trendy brands”, you can bet that veteran YouTuber, Ingrid was 100% involved in the creation of the collection, putting more than just her name into the product. Admittedly, Ingrid boasts that BareMinerals was her first experience with makeup, so she created the “Be Your Best Self ” exclusive collection of three BareMinerals favorites in a gorgeous custom bag: Original Foundation (now available in 30 true-to-you shades); Invisible Glow Highlighter in a limited-edition shade, called Resilience; and a Beautiful Finish Brush. Truth be told it’s the perfect everyday go-to collection. Get the look and make sure you share your selfie using #bareminerals and #gobare hashtags to be featured on the BareMinerals website. Check out the below #trendingtutorial featuring Ingrid and the new exclusive collab!